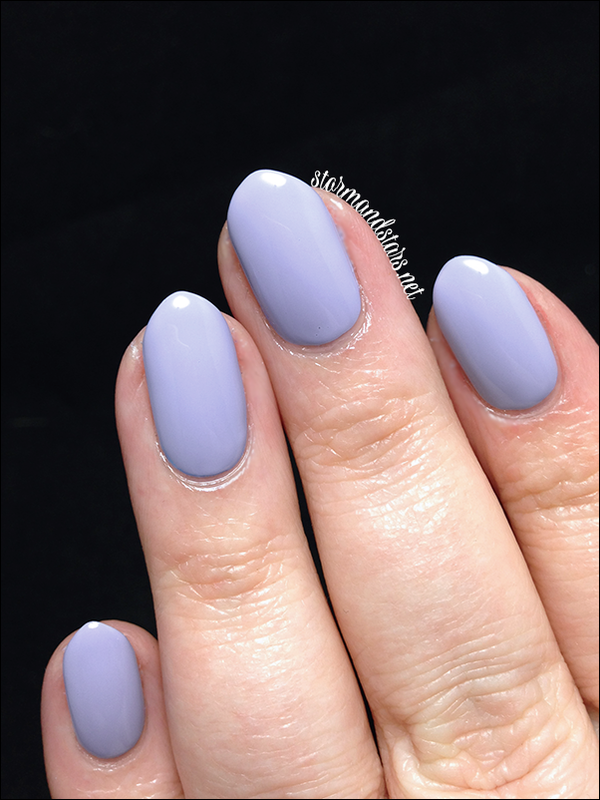 Stormandstars.net: Cult Nails | Casual Elegance and Nail Vinyls! 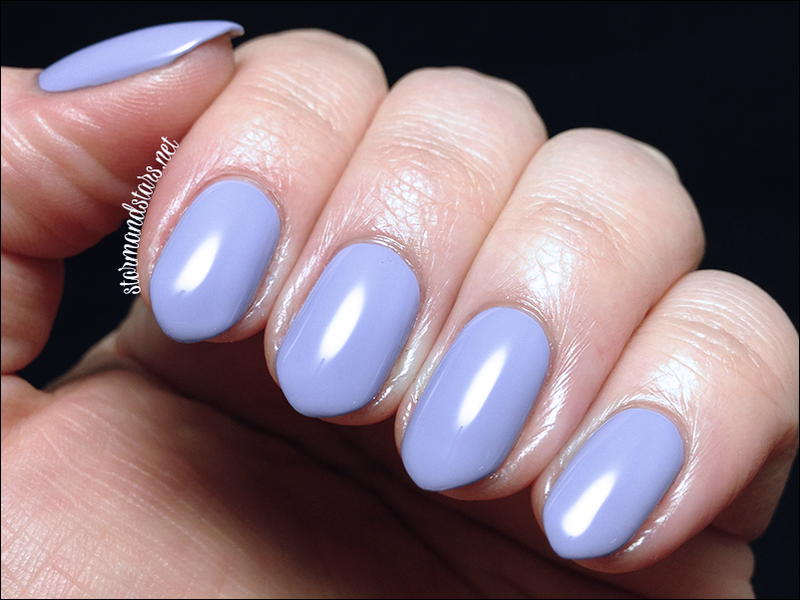 Cult Nails | Casual Elegance and Nail Vinyls! 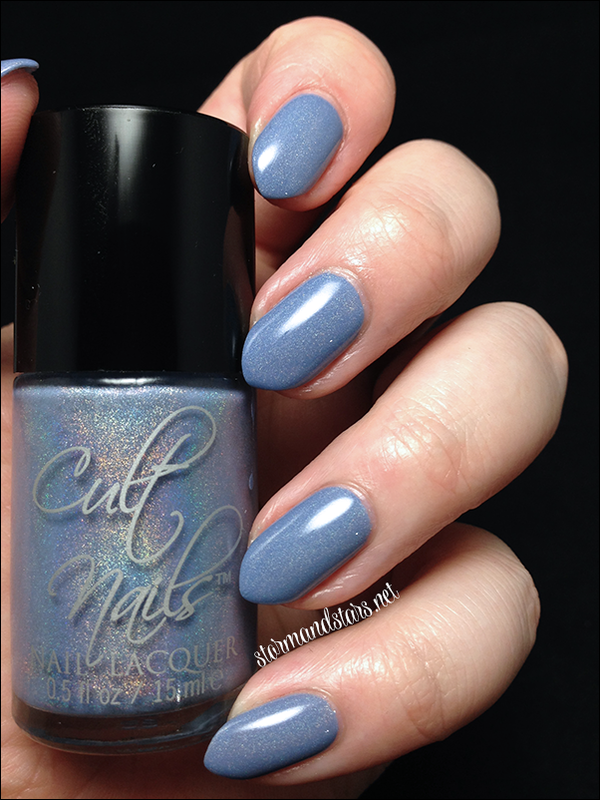 I have the 2nd 2014 collection from Cult Nails for you today. 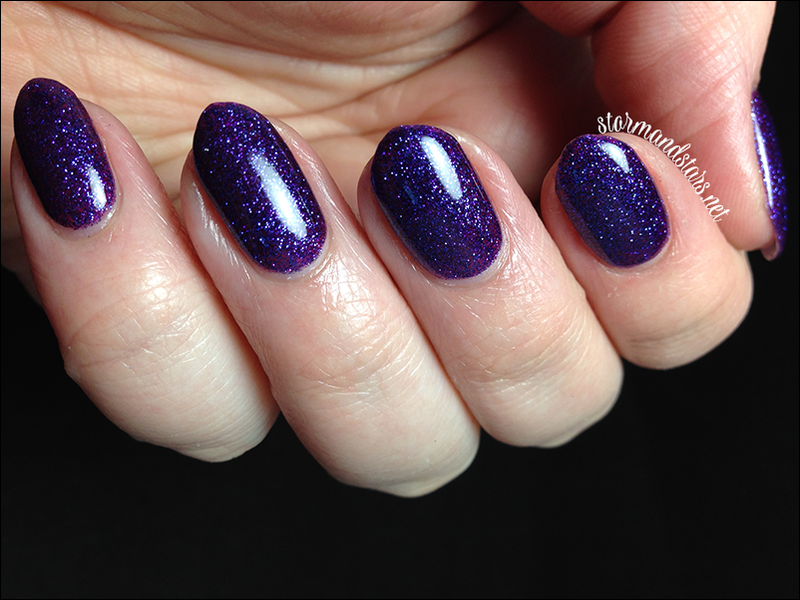 This collection is a trio of perfectly purple polishes (sorry, had to.) I love all three of these shades and the formulas are perfection as usual coming from Cult Nails. I did have some trouble photographing these, because as we all know, purple does not like to be photographed, but I believe I have as close of a representation as I can get to accurate for you all. It seems this collection hasn't only struck a cord with me, but also with a lot of other nail gals as the preorder completely sold out in only a few days. Hopefully after the pre-sale there will be some of these beauties available for purchase separately if you haven't already gotten them. If they do become available individually I highly recommend you pick them up if you did not pre-order. Introducing the Cult Nails Casual Elegance Collection. 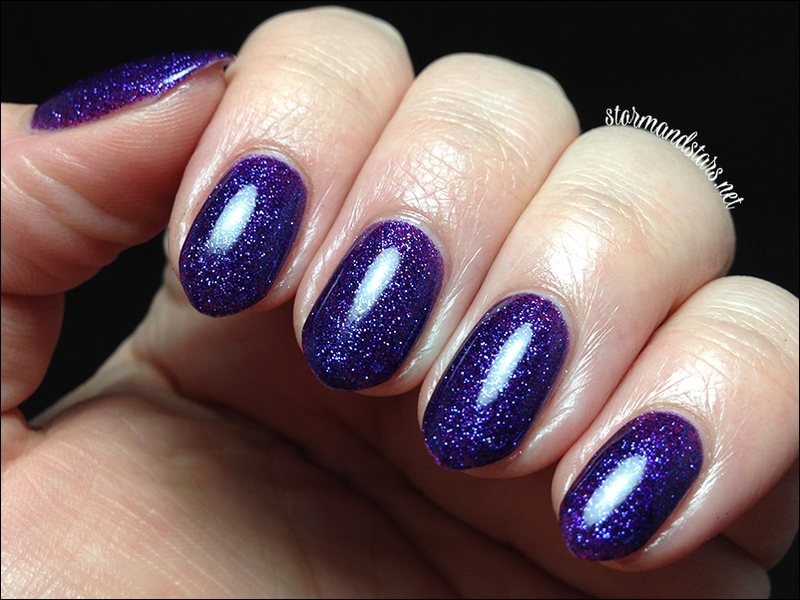 First up is Intriguing, a soft holo lacquer. 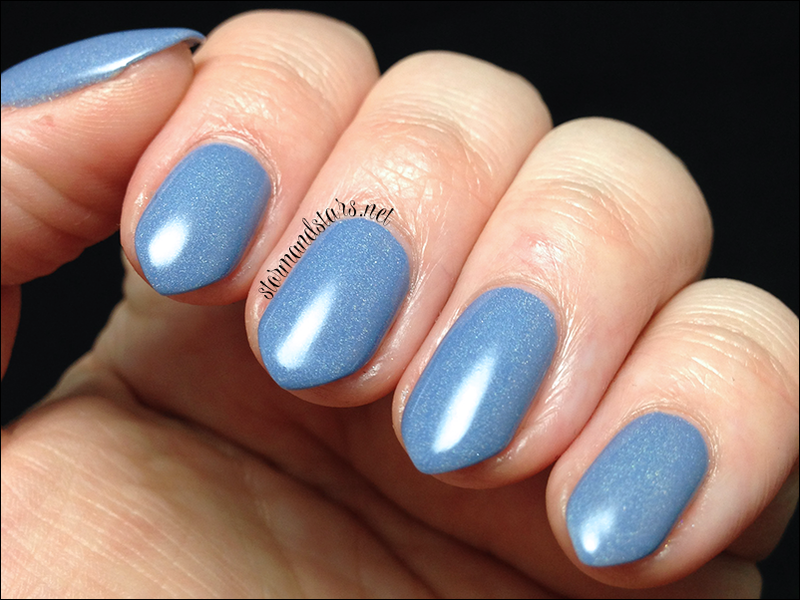 Intriguing is a softly holographic periwinkle lacquer. 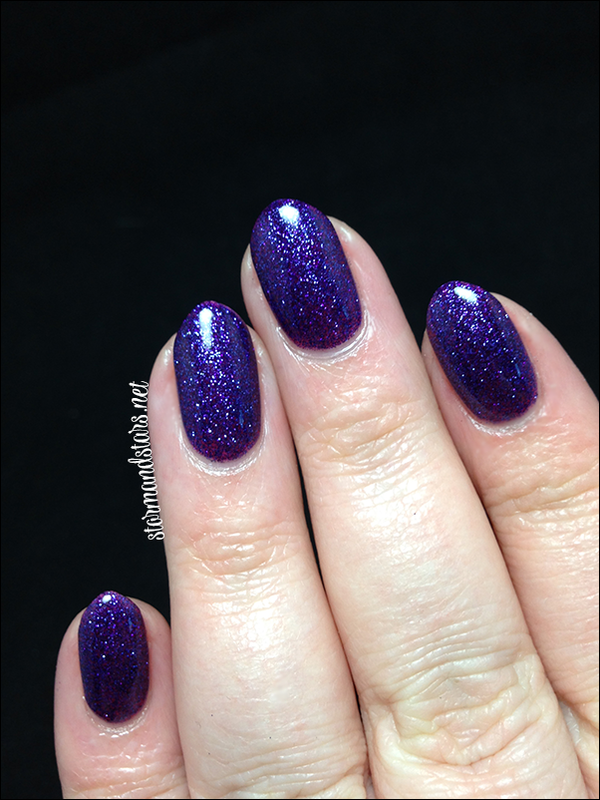 I used two coats of Intriguing over Get It On base coat and then topped the whole thing with Wicked Fast to make it shine. The formula was flawless and almost painted itself. Next from this collection is my surprise love of the bunch, this is Winter's Light. 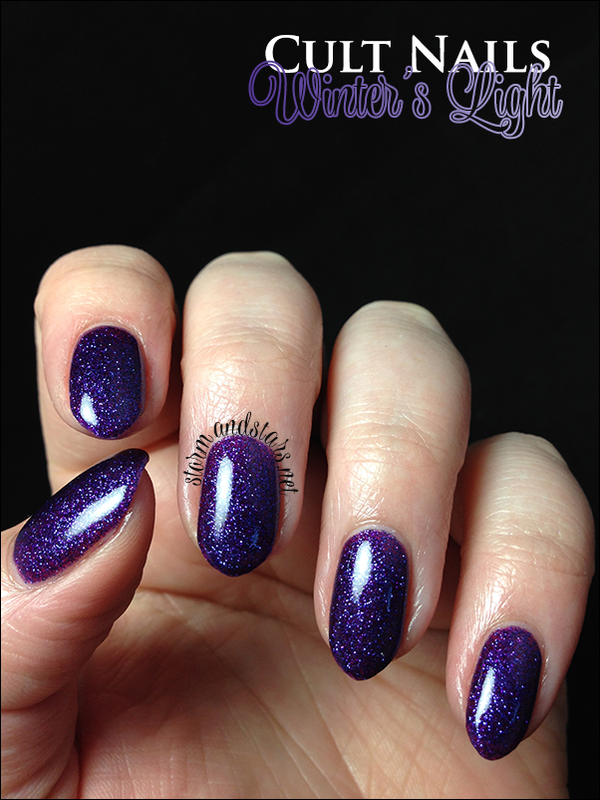 Winter's Light is a deep purple jelly base packed with ultra shimmery purple glitters. I can't even tell you how much I love this color. It sparkles so much I want to cry with joy! 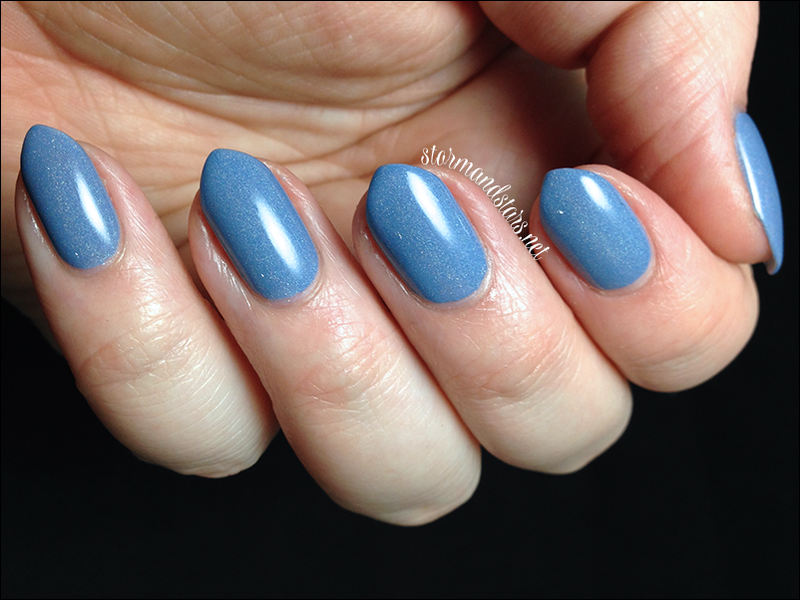 I used three coats of Winter's Light by itself and then topped with two coats of Seche Vite to smooth everything out. It does dry a bit gritty, so a couple coats of topcoat or one really thick coat is necessary for that shiny glass look. The formula was fantastic, I didn't have any problems. Last up from the collection is the shade I was most excited about. Here is the namesake of the collection, Casual Elegance. 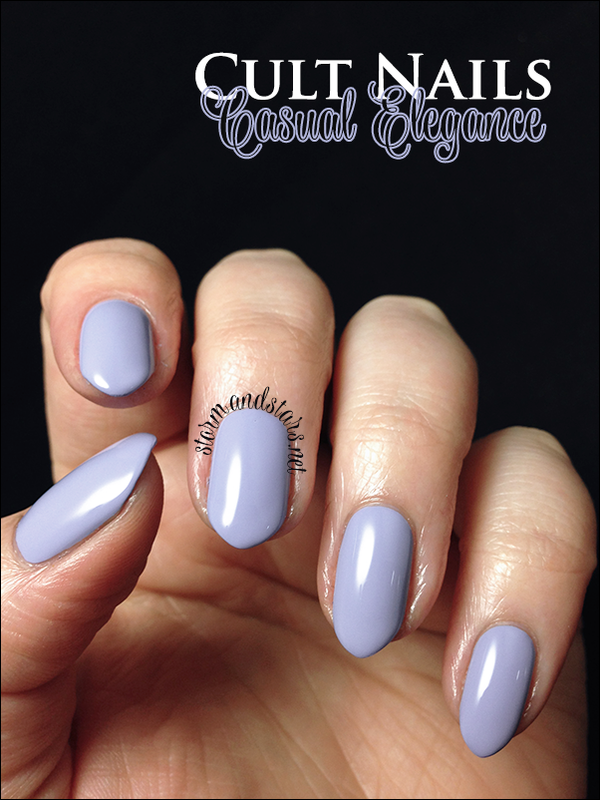 Casual Elegance is a perfect lilac creme. This is such a creamy dreamy shade and it is everything I hoped it would be! I used two coats for these swatches, but it could have been a one coater if I had been a little more careful and taken my time. I was just so excited to wear it! I topped this with a shiny topcoat for the photos. 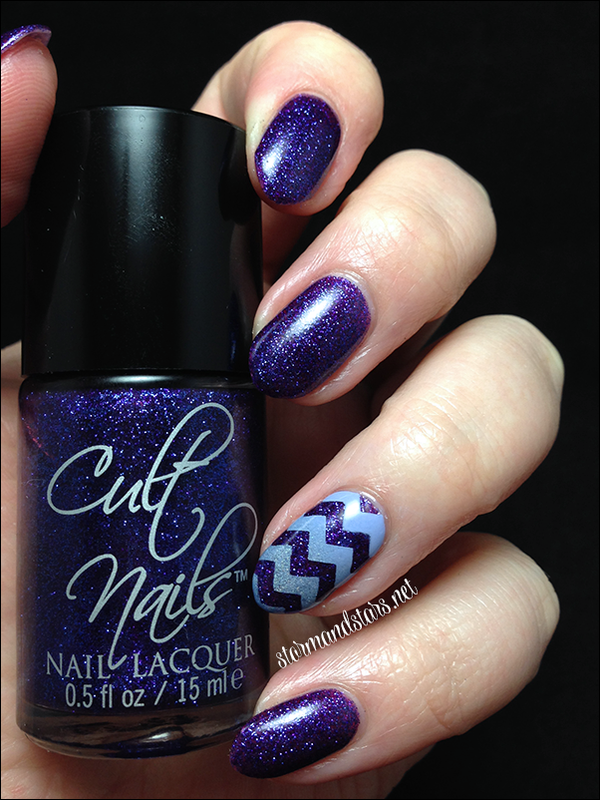 During the pre sale of this collection, Cult Nails collaborated with Nal Vinyls by @teismom for something new and special. 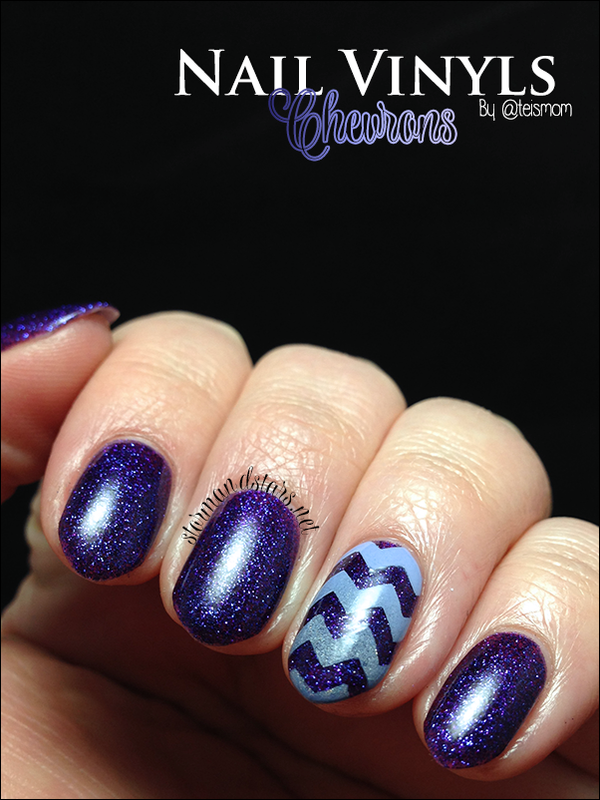 With every preorder they included a sample of chevron nail vinyls for the purchaser to try out! 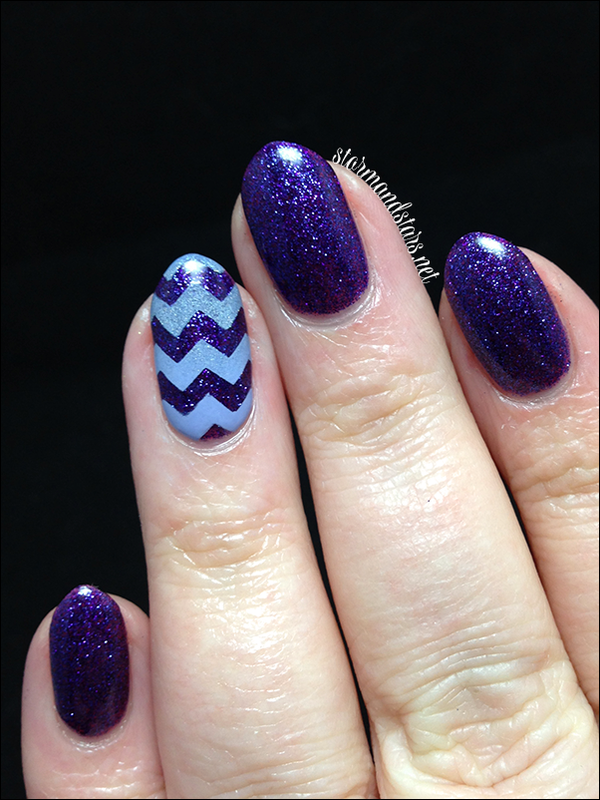 I decided to show you one accent nail option with this collection using the chevrons. 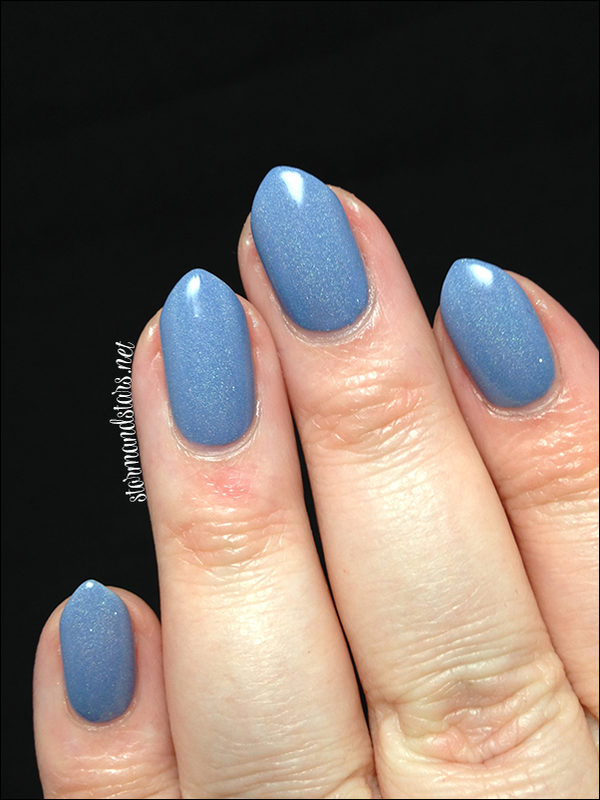 I used the same technique from my post for last year's Picture Polish Blogfest and did a gradient using Intriguing and Casual Elegance over Winter's Light. I'm really happy with how these came out! I did have done trouble with the vinyls not staying down around my cuticles, but I have the same problem with tape, so I think it is just the severe curve of my nails that is the problem. Overall I would have to say I LOVE this collection. If and when it goes on sale individually I highly recommend all the shades. 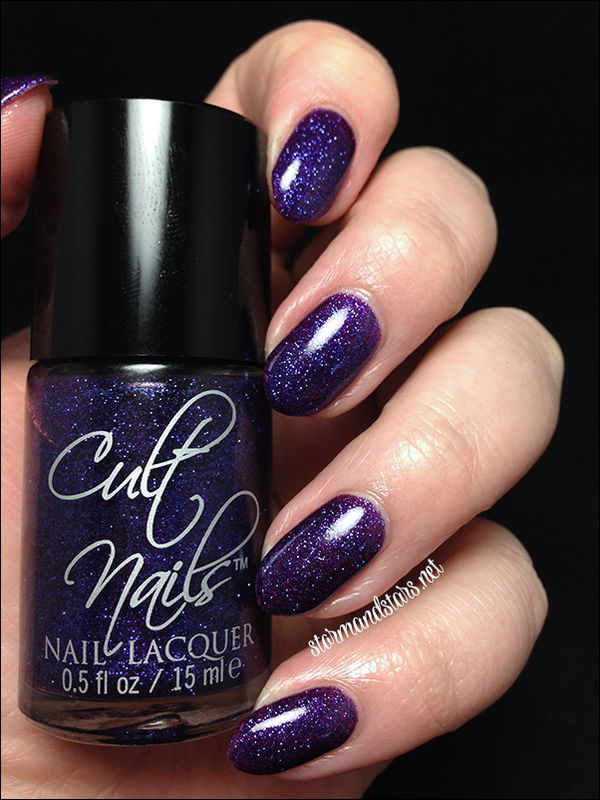 You can purchase Cult Nails lacquer in their shop HERE, or at any of their retailers HERE. If you are a first time Cult Nails purchaser you can get $12 off $24 on your first purchase by using THIS LINK. Don’t forget to follow Maria and Cult Nails on Social Media to keep up to date on new collections, sales, swatches and more! You can purchase the chevron Nail Vinyls from this post and other Nail Vinyls in their shop HERE. Follow Nail Vinyls on Social Media for the latest news, nail art and trends from the brand!